Continue reading "Purchasing a Truck Camper from WA and importing to BC"
Could you please email me your recommendations for a low hassle compact motorhome for a senior with a relatively minor disability (1 traveller with cane). Continue reading "Recommended current compact motorhomes for seniors with minor aging disability"
Which Rest stops allow overnight RV parking? 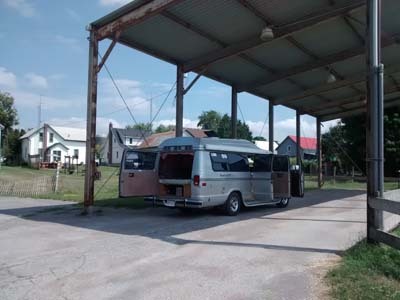 Continue reading "Mixed Blessings for Airstream Newbies"
A wealth of resources for RVers is available on the Internet. 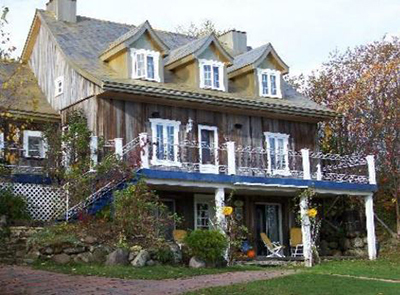 These sites are geared to those looking for affordable adventures. 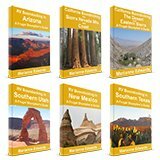 Continue reading "Resources For RVers"
We continue to include as many stops as possible from that epic first RV trip that started it all (17 years ago). 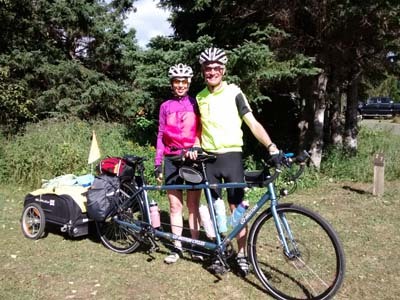 Continue reading "The Road Home Down Memory Lane"
Continue reading "Snow and Bear Spray advisory"
It's our 20th anniversary as a couple! We're retracing part of our first trip as RVers. Starting at Grand Tetons National Park. Continue reading "It's our 20th anniversary as a couple!" Our trip has changed direction. Continue reading "Left the Sierras behind and a shift in plans"
Just an idea...campfires and peace pipes. May be worth a try. Do you think? Continue reading "Just an idea...campfires and peace pipes." Continue reading "Hanging around Mammoth Lakes"
Continue reading "Lone Pine, California. One of "Those" Towns"
Wow look at these colors! We had it all wrong before. This is one of the best hikes ever! Continue reading "Wow look at these colors!" I keep noticing your black chairs, Camping World ? easy to stow away back in their bags ? Covering old and new territory, and now refreshed and renewed, we're ready for more. Continue reading "Refreshed, Renewed, and Inspired"
We were given this new We-Boost cellular booster, made specifically for RVers to review. Continue reading "Help for Staying Connected on the Road"
We kept running into the same visitor consistently at every place we boondocked this week. Ah yes! We finally figured out why. Sometimes, on the road, we forget what's the date and what weekend it is! Continue reading "Lake Mead Boondocking and America's Newest National Monument"
It's like I won Cash-for-life. Continue reading "Not exactly a lottery but...I made it this far..."
Combining work and play. Is this what workamping is like? Continue reading "Combining Work and Play"
We are on the road again, folks. And our first week held a few surprises. Some good, some not so much. Continue reading "We've Escaped to Arizona!" Shopping for a New RV? Beware! My New Year's resolution. I vow to do whatever I can to support Chuck Woodbury's fight for quality standards from RV manufacturers! Will you join us? 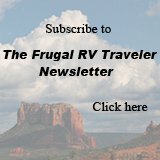 Read and subscribe to RVTravel newsletter (free). Learn why this is SO important. Continue reading "Shopping for a New RV? Beware!" 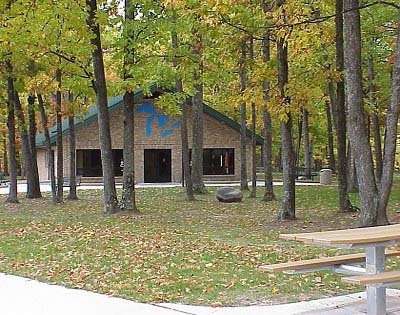 I've heard of free entry days but this TN park is including free camping on Martin Luther King Day. Hopefully, they fill up, it's a success, and other parks follow suit. Continue reading "Big South Fork Nat Rec Area - Free Camping Night"
I am writing something I won’t be sharing with you online or anywhere else – my life story! So why tell you about it at all? Continue reading "Something I Won't be Sharing Online"
Price of Senior Interagency Pass will increase drastically! Urgent: Cost of Senior (Golden Age) National Parks Passes about to go up drastically. If you're a USA Citizen over 62, get yours now! Thank you Guy Gipson of Day's End Directory for the warning. Please pass it on. Continue reading "Price of Senior Interagency Pass will increase drastically!" Many Snowbirds have already headed south. We're still here in the wintery north but we do have a 6-month trip planned. Continue reading "Our Winter RVing Plan Extends into Summer"
Continue reading "Ch-ch-ch-changes...Time to face the strange"
The RVTravel.com newsletter is such a great resource for boondockers. Here's another great article and link. Subscribe to the free newsletter for many more. 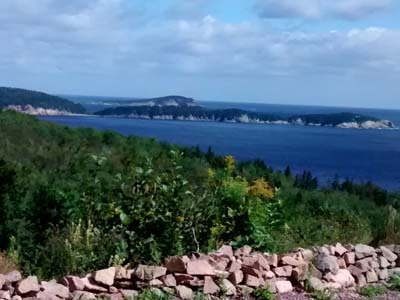 Continue reading "Find Boondocking in British Columbia"
Continue reading "Overnight RV Parking"
Driving the famous Cabot Trail on Cape Breton Island. Does it matter if you drive it clockwise or not? Serendipity: An unexpected Nova Scotia lobster experience and a down east kitchen party in the same week. 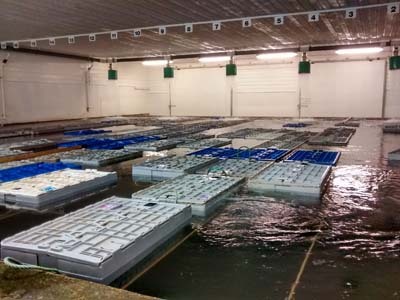 Continue reading "Nova Scotia Lobster"
We knew where to find the best of Nova Scotia - and find it, we did! Who doesn't love the beach? 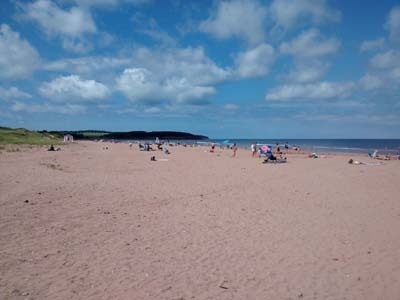 Prince Edward Island is a beach lover's dream. 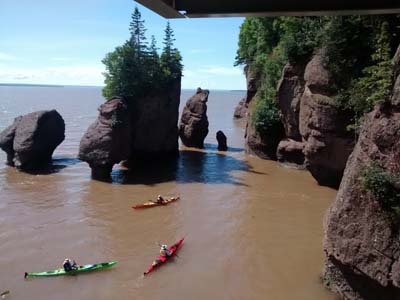 Continue reading "Prince Edward Island"
Continue reading "East Coast Rock Hopping"
Forillon National Park lives up to the expectations. An amazing Lands-End experience. 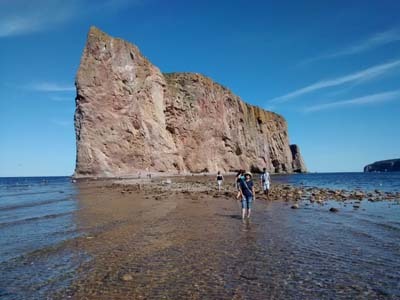 Continue reading "Forillon National Park"
Do not pass up a chance to visit Quebec's Gaspe Peninsula; the coastline rivals that of California. Continue reading "Have a great trip!" Canada's Maritime Provinces by RV. We're finally on the summer trip we've promised ourselves for the past 4 years. 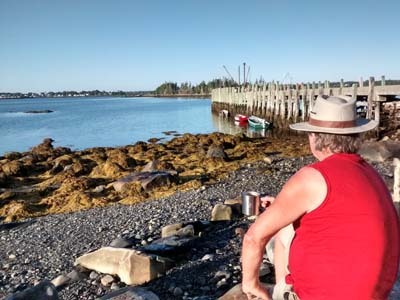 Continue reading "RVing to the Maritime Provinces"
If you're looking for ways to pay off your RV purchase, you might consider renting it out occasionally. Mark Jenny makes a compelling argument for it in this article. RVshare.com can help you find the perfect renter. Listings are free. Continue reading "4 Reasons to Consider Renting Your RV Out"
How much does it cost to RV fulltime? I was asked that question recently (even though we're not full time RVers ourselves). There's no one-size-fits-all answer but the opinion of these 19 RV experts may help you figure out if you're financially ready. Continue reading "How much does it cost to RV fulltime?" When the RV Geeks, who are currently in Australia, decided to video their stop at one of our Boondockers Welcome hosts, they had no idea of just how welcoming hosts in Oz might be. I think they were wowed! The video says it all. Continue reading "Another Great Video by The RV Geeks"
It may be possible to travel around Costa Rica by RV but is it practical? 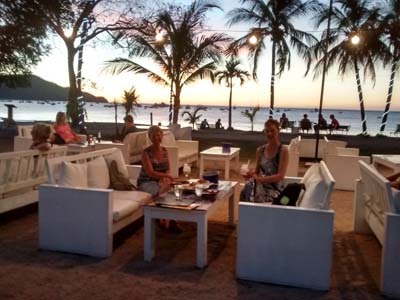 Continue reading "Costa Rica by RV"
This brilliant editorial by Chuck Woodbury was first published 4 years ago but we're still waiting for campground owners to be enterprising enough to fill this obvious void in the market. 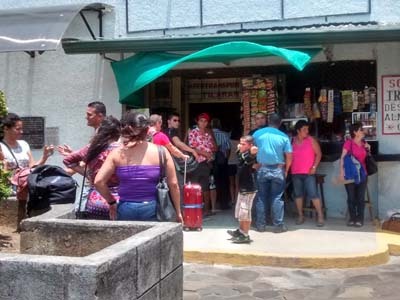 Continue reading "An Opportunity for Campgrounds - Give RVers What they Want and Need"
Goodbye Costa Rica. Leaving is difficult and expensive!. Continue reading "Goodbye Costa Rica"
The budget aside, we've crammed a lot of fun into the last two weeks in Costa Rica. Continue reading "Costa Rica Fun"
Wow! This little old RV blog, has won some great honors: Best Budget Blog in the 2011 Tripbase Travel Awards. After being a top finalist in 2009, this year, my site made it to the top of the list! For this, I thank all my loyal followers! Why not become one of them? Now you, too, can now stay in touch, learn when new pages are added to this website, and receive travel updates from us on our next trip, by subscribing to our RSS feed. Instead of having to check our site for new information, you can now have short announcements (like those listed above) delivered to your desktop, or to your My Yahoo page, My MSN page or Google page, whenever we add a page or something new to the site. Just click on the little colored RSS buttons on the bottom left hand side of this page (located below the regular navigation buttons), then follow the simple instructions. please click on the question mark (?) beside the heading, "Subscribe To This Site".